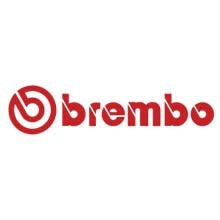 Brembo There are 13 products. Brembo is a world leader in performance braking. 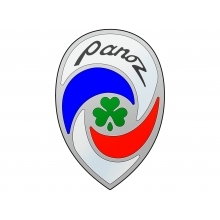 For many years, Brembo has been factory equipment on the best of Super Performance Cars such as McLaren, Porsche, Ford, and countless others. Brembo is professional grade at pro-consumer prices. Look next to the podium at your next race and see the familiar red Brembo Caliper, ready to take even more abuse. Brembo - ready for the track. 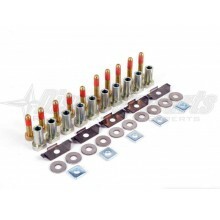 Brembo direct replacement rotors and hardware for all Brembo Big Brake Rotor Kits. 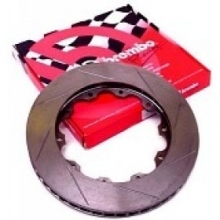 Brembo GT Big Brake rotor kits offer incredible performance and value, but need to be replaced, We offer replacement Genuine Brembo rotor rings and hardware to keep you back on track and your lap times low. 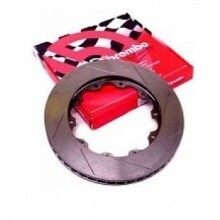 Genuine Brembo brake rotor rings are a great spares item for endurance racers. 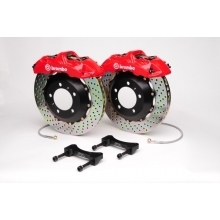 Brembo Racing Rotors & Big Brake Kits - DiscoveryParts Brembo is a world leader in performance braking. 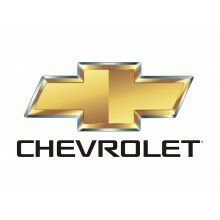 For many years, Brembo has been factory equipment on the best of Super Performance Cars such as McLaren, Porsche, Ford, and countless others.